His fondness for late nights, big drinking sessions, wine, women and song is well-known. So when I walk into a record-company boardroom at 10am and find the Whitlams’ Tim Freedman clacking away on a laptop, looking a bright-eyed picture of health – save for slightly unruly hair – it’s, well, a bit of a surprise. Especially given the (usually) musician-unfriendly hour. Surely he’s not a (gasp) morning person? And that age is …? “Thirty-seven – 35 in the press,” he adds with a wink. Freedman is down from hometown Sydney for the Whitlams’ fifth album, Torch the Moon. Fittingly for a band named after a political icon, Freedman can charm as well as any pollie worth his salt, minus the suit and baby-kissing. And can be brisk just as quickly. You can’t help but wonder if Freedman was always like this, or if the events of recent years have made him lift his guard even more than befitting an almost-lawyer (he abandoned his course in the final year). Like their hero Gough, the Whitlams have had just as much joy as tragedy, as much success as controversy. For starters, of the three people who founded the Whitlams back in 1992, only Freedman survives. Guitarist Stevie Plunder died stepping off a cliff in the Blue Mountains in 1996 – accidentally or deliberately was never established – and bass player Andy Lewis (later of the Gadflys) took his own life in 2000. Their deaths have left an irreparable hole in Freedman’s life. That line-up of the Whitlams recorded two albums, the moderately successful debut, Introducing the Whitlams, then Undeniably the Whitlams, which, in Freedman’s words, “stiffed”. It was the band’s next album – the first post-Plunder’s death – 1997’s Eternal Nightcap, that spun the Whitlams’ fortunes skywards. Spearheaded by Triple J Hottest 100-topping single No Aphrodisiac, the band snared eight ARIA nominations in 1998, winning awards for best group, best song and best independent release. Even then, the band’s most successful year to date was tainted by further tragedy when, in early 1998, a 32-year-old Sydney woman named Jennifer Smith, known to Freedman, was found dead metres from his Newtown home. Although Freedman was swiftly discounted as a suspect, the prickly media circus that ensued, Freedman believes, still affects people’s perceptions of him. “I think I’ve learnt how to (deal with) it, y’know … just got a thick skin,” he says. But if developing trust is any indication, then perhaps in the past 12 months Freedman’s skin has thinned. With the Whitlams’ two post-Plunder albums,Eternal Nightcap and Love This City, Freedman recorded them as a self-described “ringleader”. But Torch the Moon is Freedman’s first true “band” album since the Plunder days, with guitarist Jak Housden (formerly of Badloves), drummer Terepai Richmond, bassist Warwick Hornby and producer Daniel Denholm all playing their part. 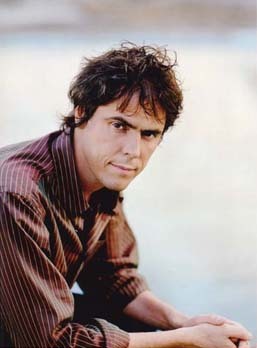 The Whitlams drummer had another positive effect on Freedman, one reflected not only in the mood of the record, but in the singer’s shiny health. “I’ve got back into the water; Terepai’s dragged me out into the surf,” declares a grinning Freedman. Growing up in Collaroy, on the northern beaches of Sydney, he surfed through his teens, until music took precedence. Now he escapes to the beach about an hour south of Sydney when he can. There, he has a room, “just with a surfboard and a bed”. “It’s a pretty relaxed culture, as opposed to Sydney, which can get a little bit rabid,” he says. How can he tell when it’s time to escape the city? “I can tell. When you’re starting to wake up at 5pm it’s usually a good sign,” he says dryly. So the drink is still in Freedman’s life. As is love, falling in and out. And the ocean. And it’s all there on Torch the Moon, a record Freedman describes as “little half-act plays of love and drunkenness”. His rekindled love of the waves is there on the songs Out the Back (which features a quintet from composer Peter Sculthorpe, played by members of the Australian Chamber Orchestra, including leader Richard Tognetti) and Gone Surfing, which Freedman calls “sort of our short little Wedding Cake Island”. Is the song about anyone in particular? “Ah, well, I’ve known a few girls that wear their hearts on their sleeves like that,” says Freedman. “I’d been sort of thinking about this song for years. To Freedman, that remains the essence of a good lyric. “I personally like them if they remind me of specific incidents in my life and I’ve expressed it well,” he says. “And if I express it well enough, then it can become good enough for it to remind people of a similar incident in their life. That’s my aim. Torch the Moon is out this week through Warner.